The leg is a large, lean, and tender cut and can be used whole or subdivided into smaller cuts, which can be prepared in many different ways. 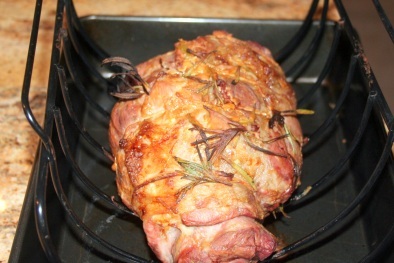 This lamb roast will delight your family or guests when you flavor it with your favorite rub or marinade and cook it until it is still a little pink inside. We like to debone the leg, leaving it in one piece and after rubbing it on both sides with a Dijon paste, create a string roast. The meat is tender with the sweet taste that only grass fed meat offers. It is also delicious when butterflied and grilled with garlic and mint. The possibilities are endless.